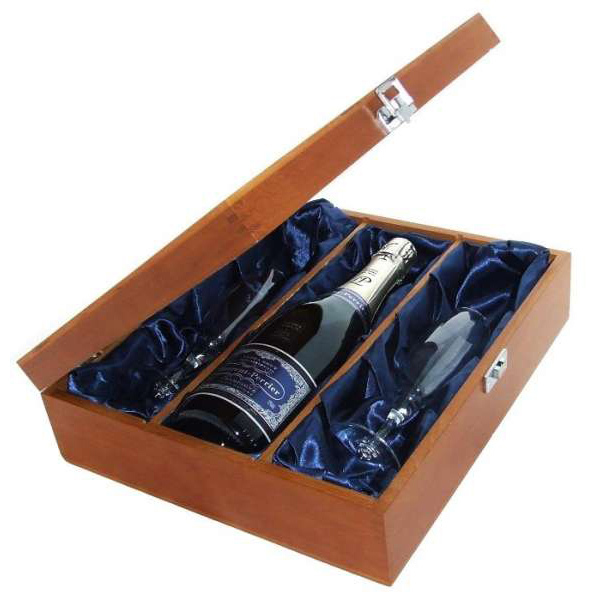 A single bottle of Laurent Perrier, Ultra BrutChampagne with two beautiful Champagne flutes presented in a Luxury Hinged featuring traditional joins with satin linings and clasp fastening, complete with a gift card with your personal message. This product is hand packed onsite by Gifts International, and is not affiliated with any other brand. Gifts International is responsible for this product combination/set.